Cardboard boxes get a bad rap. After they have served their purpose of carrying your valuables to your final destinations, they suddenly become obsolete with their uses being dramatically lowered to either becoming an imaginative toy for toddlers or being crushed to the floor by eager feet. 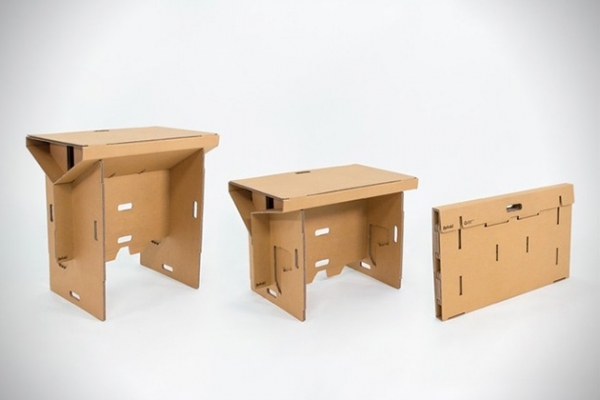 Thankfully, a few designers in New Zealand sought out to reinvent the use of cardboard to something a little more functional. 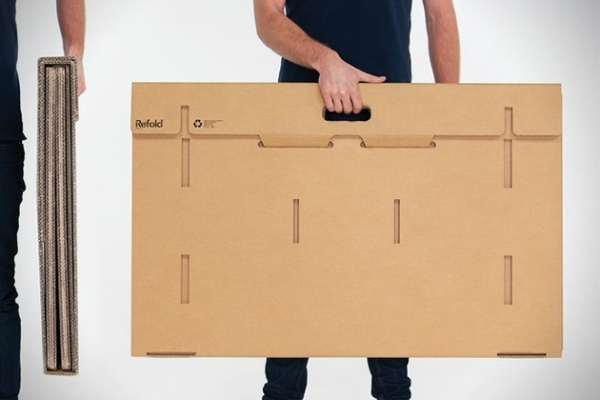 Enter the Refold portable cardboard desk! Most of us are familiar with a fast-paced lifestyle, but there are others whose jobs require them to be on their feet more than usual. 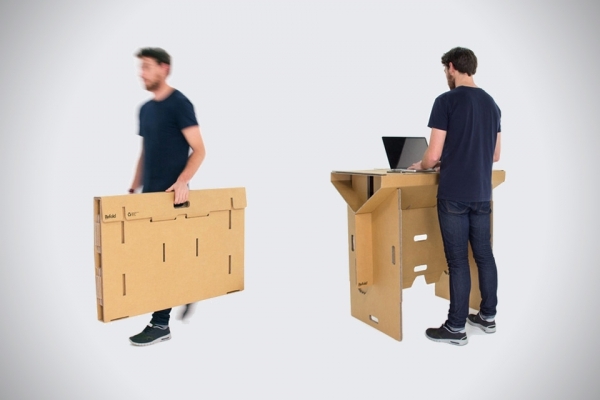 It can be hard trying to handle business with no desk to balance everything out. 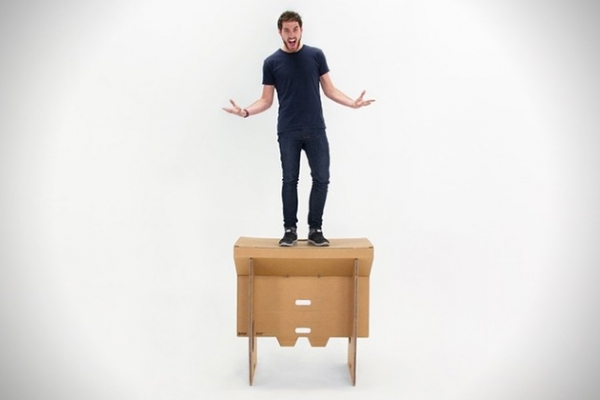 This portable cardboard desk eliminates the hassle by providing easy assembly in under 5 minutes. Don’t underestimate the threshold of strength that it may seem to have, as this desk is strong enough to hold your weight! 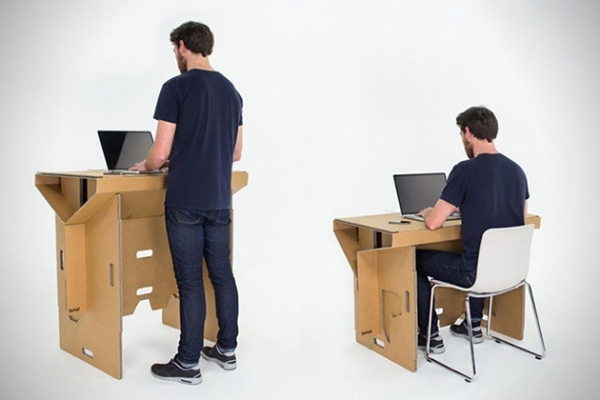 The two ways you can assemble your desk help to accommodate you whether there’s no time to pull up a chair and for the times there are. 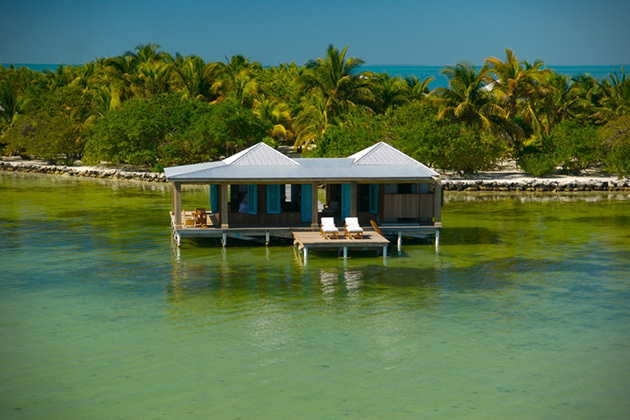 Not only is it eco-friendly, but it folds thinly to ensure light transport and space-saving storage! Innovative office décor doesn’t get any better than this.